2011 was a rebuilding - and character building - year. 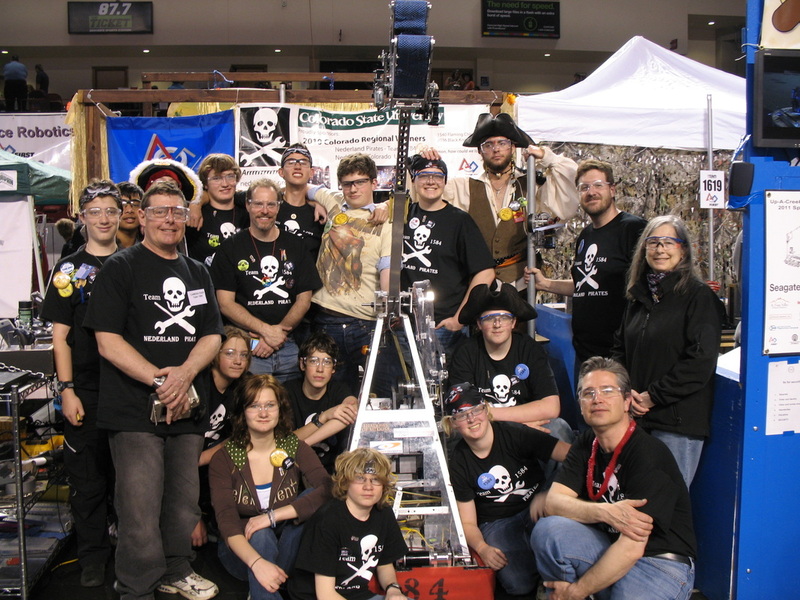 Despite a rookie team with only one returning student from the year before, the pirates built a highly functional robot that could outperform any other robot in the competition... when it could move at all. Field management problems knocked the Black Bart off the wireless network at the start of every match in the qualifying rounds except the last one (where we racked up a lot of points, too little too late). The Black Bart finished in 41st place, with a 2-6-2 record. Our greatest success this season was with teamwork at the regional. Our pirate crew showed several other teams their innovative "mini-bot" design and helped those teams get their mini-bots working on the practice pole in out pit area. While we never got the chance to use our mini-bot in the competition, we enjoyed the successes of these other teams immensely.